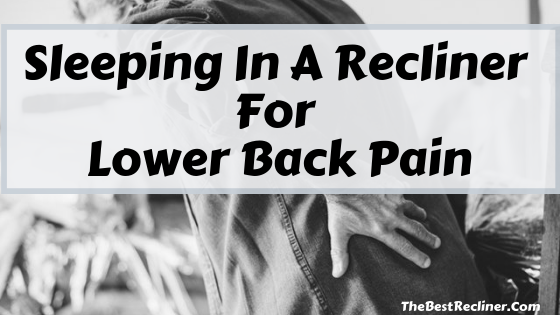 There is nothing worse than niggling lower back pain. It hurts the most when standing up and doing your day to day activities can be a real chore. Sitting down does take some of the weight off of your lower spine, however getting a full restful sleep is another issue all together. Finding the most comfortable sleeping position is very challenging when you suffer from lower back pain and tossing and turning is a common occurrence. And of course, lack of sleep will also lead to problems the following day. What is the solution to this problem that affects so many people these days. Is sleeping in a more elevated position the answer. 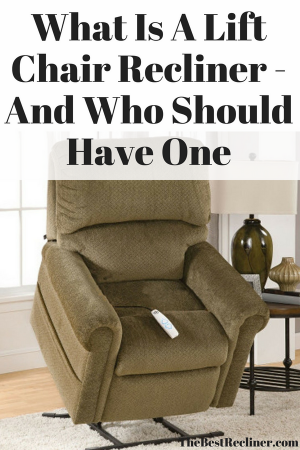 In this article on sleeping in a recliner for lower back pain I will try to find the answer. At least 80% of Americans will suffer from lower back pain at one point in their life. The most common cause of lower back pain is due to a muscle strain or injury. This can happen at any age and often happens at work. However, as we age our bodies produce less fluid protecting substances in the vertebrae. This will lead to more irritation and lower back pain. Also, as we age, degenerative diseases are more likely to develop, such as arthritis. Acute lower back pain may last for days or even weeks, however chronic lower back pain can last for years. First of all, the quality of the mattress you are sleeping on may affect the quality of your sleep. A mattress that is too soft or has lost its support may cause your back more harm than good. If you find yourself tossing and turning throughout the night and find it difficult to get comfortable, then maybe your mattress is the issue. Before you think about buying a new mattress, you should also look at your sleeping positions. When you suffer from lower back pain, it may feel like no matter which sleeping position you try, you can never sleep well. However, don’t give up. If you haven’t already tried these sleeping positions, then give them a try. Sleeping on your side, curled up in the fetal position. This one is good for people with herniated discs because sleeping in a curled position opens up the vertebrae. Sleeping on your side with a pillow between your knees. By sleeping on your side, with knees bent and a pillow between them, your hips, pelvis and spine will align correctly. Sleeping on your back with a pillow under your knees. By sleeping on your back with your knees raised a little, your spine will align better. This will take pressure off your lower back and hopefully relieve lower back pain. For many people, standing up for long periods of time causes their back to flare up. They feel some relief when they sit down, by taking the pressure off of their lower spine. However, for some even sitting down gives them limited relief because the weight of the upper body is still piling pressure on their lower back. The more you lie back, the more of that upper body weight is taken off of your lower back. This is why so many people feel some relief when they lie back on a recliner. In fact, here are just a few of the benefits of sitting on a recliner. So if lying back further takes extra weight and pressure off of your lower back then wouldn’t this position be beneficial for helping you sleep. 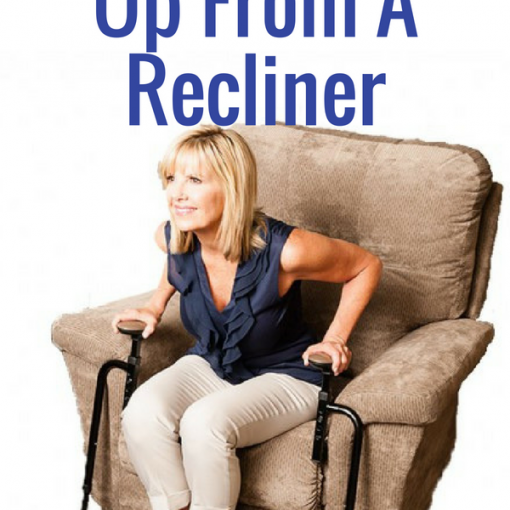 A recliner is specifically designed to align your body correctly, especially a zero gravity recliner that will raise your knees and slot your spine into proper alignment. It is obvious you will want a well padded, comfortable recliner but make sure you get one suitable for your body size. 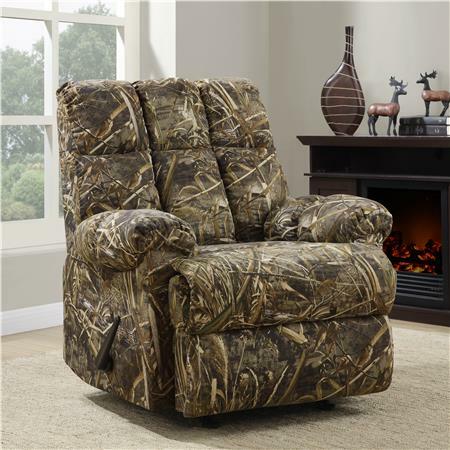 There are oversized recliners suitable for big and tall people and small recliners suitable for short people. However, if you are planning to use your recliner for sleeping, then make sure it isn’t too small. Recliners are available for all budgets. When features like heating, massage, zero gravity etc., are part of the recliner, then it will certainly cost more. That being said, you can definitely get a good quality budget recliner if that is all your pockets will allow. Fabrics are a personal choice and just like regular armchairs and sofas, recliners are available in leather, faux-leather and microfibers. Many people think they should buy leather when it comes to furniture, however the majority of the recliners I see are either faux-leather or microfiber. And they look awesome. Finally, make sure you have enough space to fit the recliner. 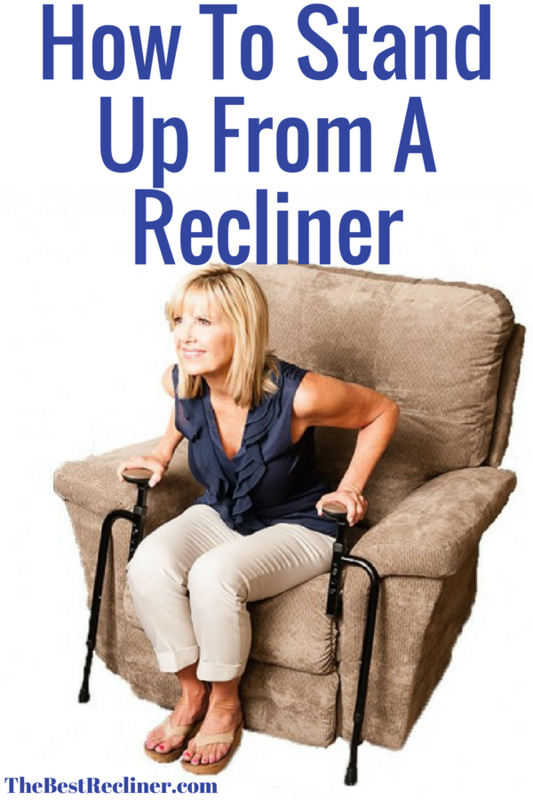 There are recliners suitable for small spaces and even RV recliners, however some of these small recliners may not be long enough to support your whole body from head to feet. If you are very tall or you have enough room for an extra long recliner, then I would recommend the Stallion by Lane Furniture. It is a highly rated large recliner that reclines fully to the length of a King Size Bed (79″). Sleeping well when you have lower back pain can certainly be a challenge. Finding the right sleeping position is very important to get a good night’s sleep. If you have tried all the sleeping positions to no avail, then maybe you should consider giving a recliner a go. Have a look at this article on the best recliners for sleeping, to see if any of these recliners would be suitable for you. If you have tried sleeping on a recliner, then let us know how you got on, in the comment section below. We would love to hear from you. 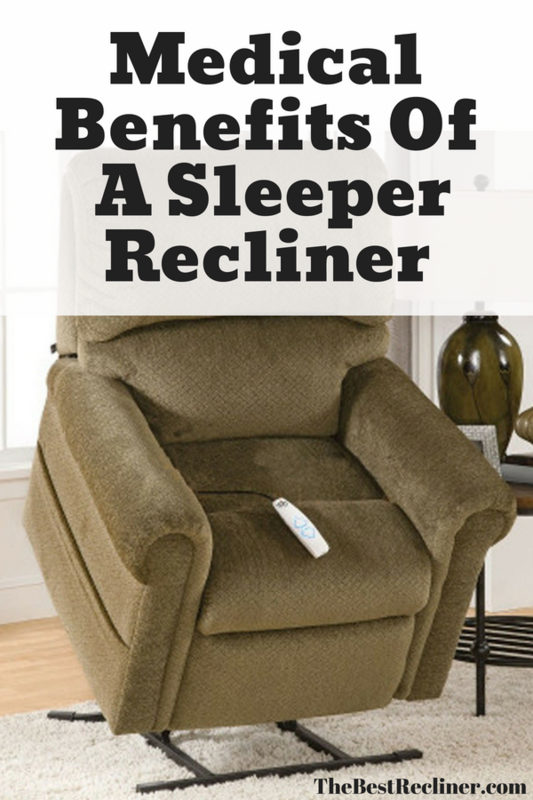 Is Sleeping In A Recliner Healthy? Previous post Sleeping In A Recliner For Acid Reflux – Will It Really Help?